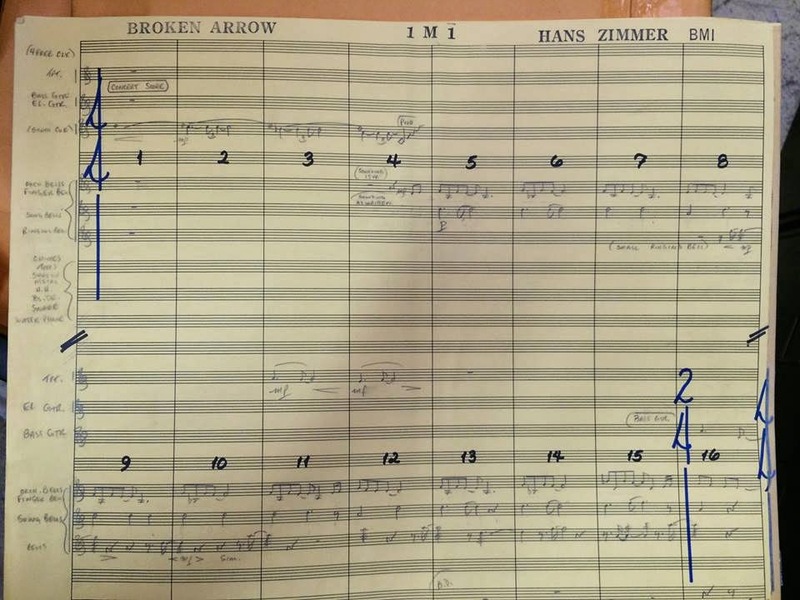 One of the most important features of the production of a film score are the Cue Numbers. 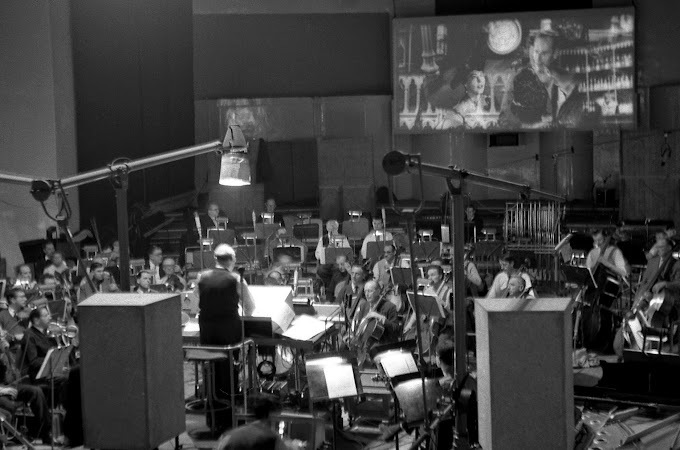 Since the beginning of music scores on film, there has been one definite way of matching scenes and sound. 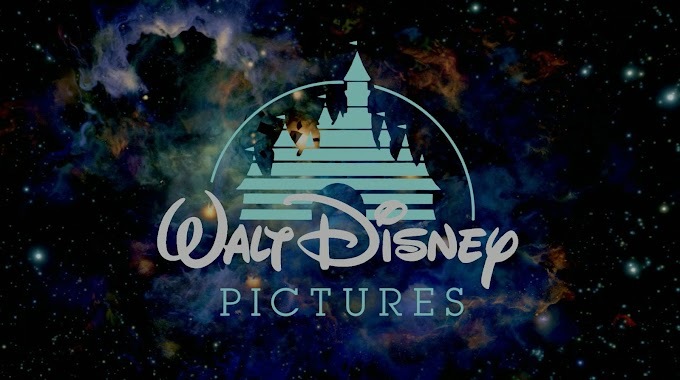 With a feature film, the film is divided into reels - or literal reels depending on what time period you are looking at. When the score is spotted with the director, music editor and composer (among others), the film gets divided into the sections. All this information is relayed on a Cue Sheet. 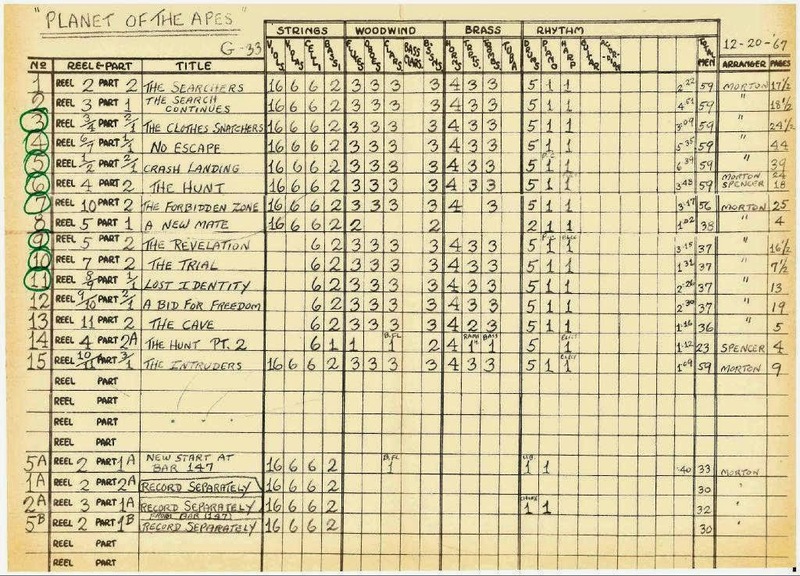 Below it shows the Reel & Part, Cue Title, and how many instruments needed in each section. Click to zoom in. There are 3 main ways that cues have been numbered - they all basically say the same information in a slightly different way. 1. 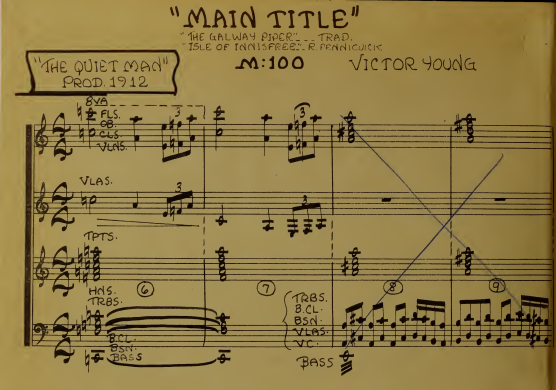 This way is found on a lot of early films through the 1940s, simply numbering each music cue. In this case, it is M:100, showing the first cue of the film. 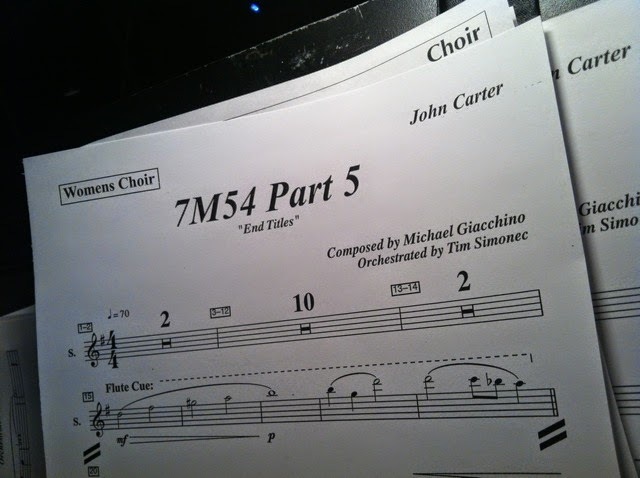 It also shows the cue name, "Main Title" and the credit for the arrangements. Note: this is what is known as a condensed score. That is, condensing all the instrument parts in a easy to read page for the conductor. 2. For a long time (found a lot in the 1960s-1970s), the standard system of cue numbering was Reel Number, Part Number. For example, Reel 7, Music Cue Part 2 would be written as R7P2. Telling the same information, as before, but giving the exact music cue placement in the reel. Note: it's said that Star Wars character R2D2 got his name using this format - this time referring to Reel 2, Dialog Track 2. 3. 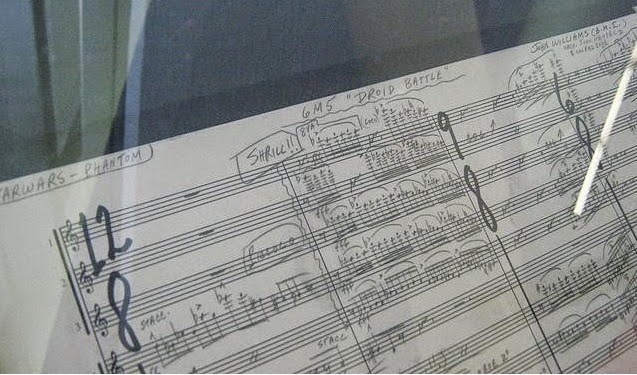 The now standard numbering system across the majority of composers is the 1M2 system. This gives the same information as before, this time with "1" representing reel 1 and "M" stands for music, and "2" representing the 2nd music cue in that reel. So Reel 7, Music Cue 2 would be written as 7m2. Since most recent scores follow this format, I've included a few examples showing the cue names/numbers. The examples are endless, since every film has some cue numbering system. Certain composers and music editors prefer certain numbering system. For a film like Hatari! (Henry Mancini) used 1A, 1B, 1C, etc. 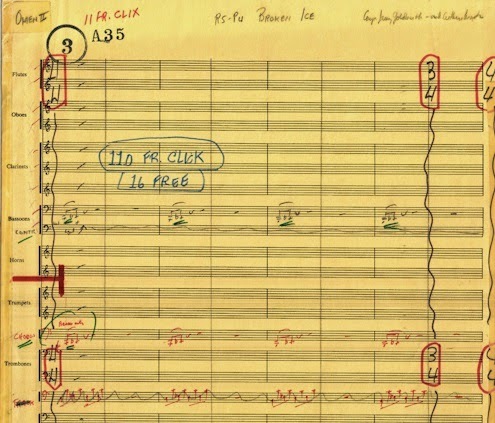 For a composer like Bernard Herrmann, Roman numerals were often used as a cue number or cue title. For the film like Taxi Driver (Herrmann), he used the 2nd method and Roman numerals combined like this: R3P1 - VI, R3P2 - VII, R4P1 - VIII.